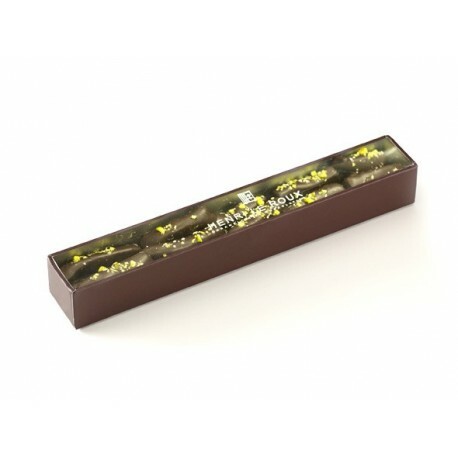 (Re)Discover the "Vert Galant" in this special box: A glazed ginger coated with dark chocolate and pistachios from Iran. 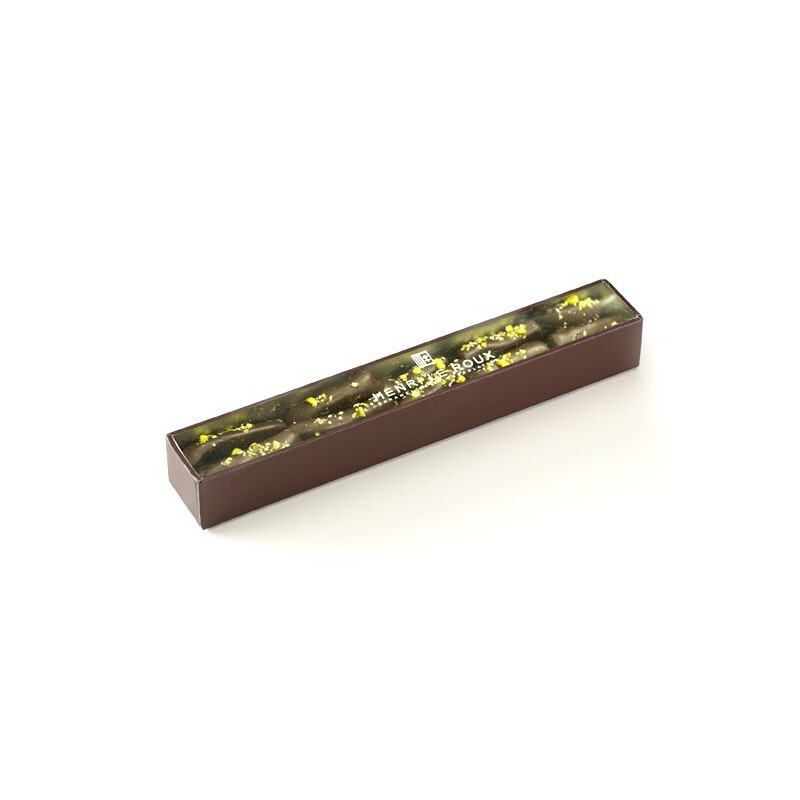 (Re)Discover the \"Vert Galant\" in this special box: A glazed ginger coated with dark chocolate and pistachios from Iran. Net weight: 80g. Ingredients: candied ginger (ginger, sugar, glucose), PISTACHIO pieces, dark chocolate (cocoa paste, sugar, cocoa butter, lécithine de SOJA, natural vanilla extract).